Caption slip reads: "Photographer: Olmo. Date: 1952-04-06. Reporter: Wyatt. Assignment: Truck-trailer vs auto at Atlantic Blvd. and Garvey Avenue,Monterey Park. 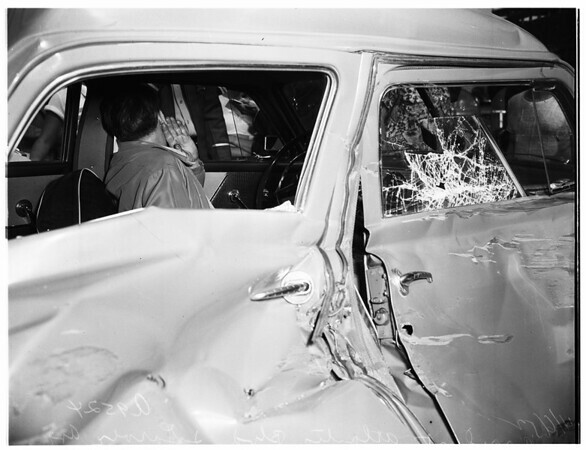 Mr. and Mrs. Albert D. Woodard, pinned in auto, after accident. Ambulance attendants removing Mrs. Woodard from wrecked car".